As our 21st Wine Exchange fast approached, we felt the need to find a stellar place to host a fitting “21st Birthday” themed wine exchange. We found that place in Girasole. 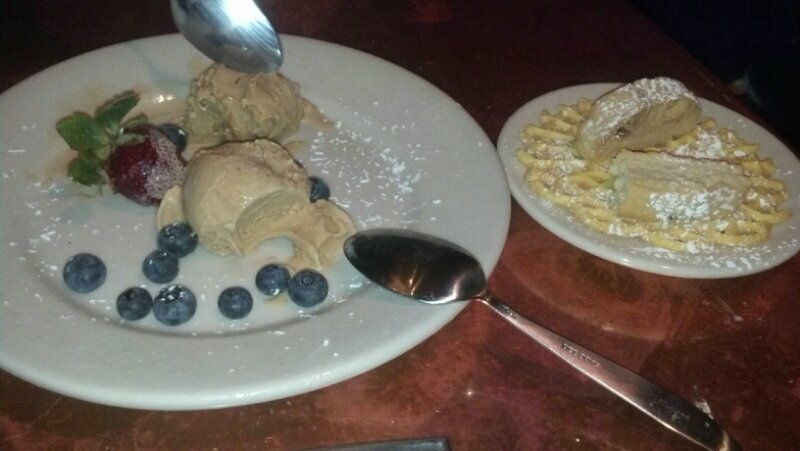 Take a photo tour of our dinner and join us for our next wine exchange on Monday, April 15, 2013 at 7:30 p.m. to discover why we fell in love with this cute little Italian restaurant just off of Walnut Street in Shadyside. Appetizer – Mussels. 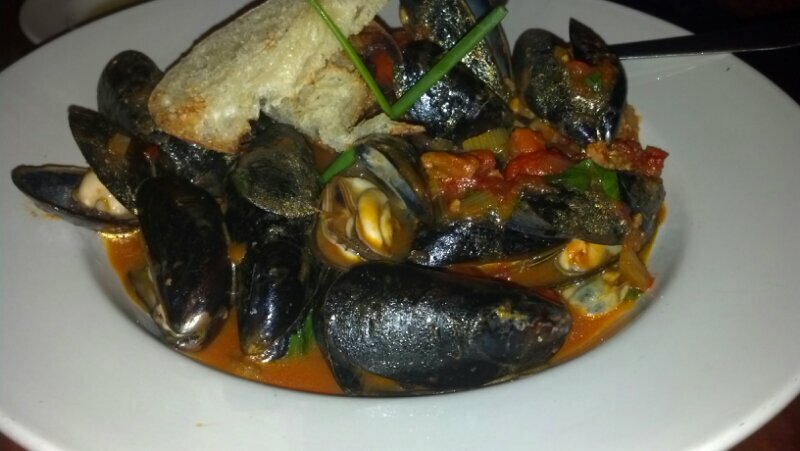 There was actual strips of freshly cooked bacon in the broth which added a slightly smoky accent to the mussels. 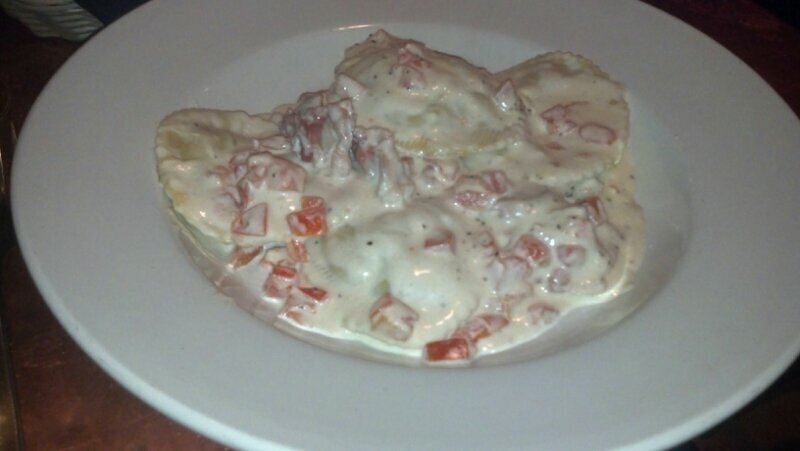 Black Truffle Ravioli – My ravioli were served with a creamy sauce with fresh tomatoes throughout. The ravs were tender and delicious. 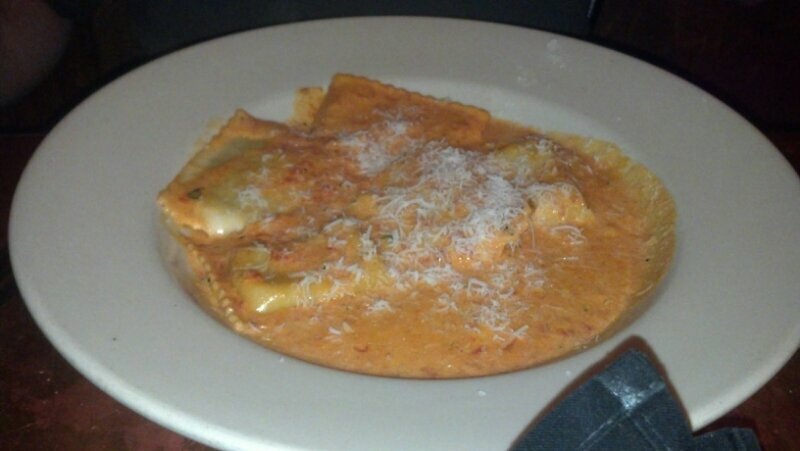 Spinach and Ricotta Ravioli – TasteBudA got the ravioli with a creamy marinara sauce with his meal. He raved about the dish so much, that you can find it on the wine exchange menu. Caramel Mocha Gelato – Though at first, TasteBudA thought they brought the wrong flavor, he did not read close enough to know that it was caramel and chocolate with a hint of java flavor.